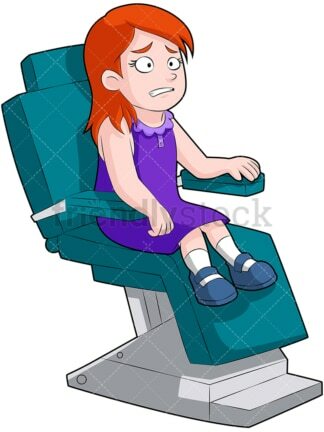 Royalty-free stock illustration of a frightened little red-haired girl fidgeting in a green dentist chair, looking terrified. Royalty-free stock illustration of a grinning girl sitting in a green dentist chair giving the thumbs up sign with both hands. Looks like she got a good report! 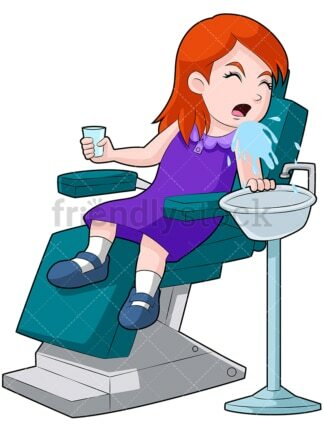 Royalty-free stock illustration of a girl in a dentist chair spitting water into the sink beside her, looking queasy. Royalty-free stock illustration of scared little girl getting her teeth checked by a the dentist. She’s afraid the instruments in her mouth will hurt her. 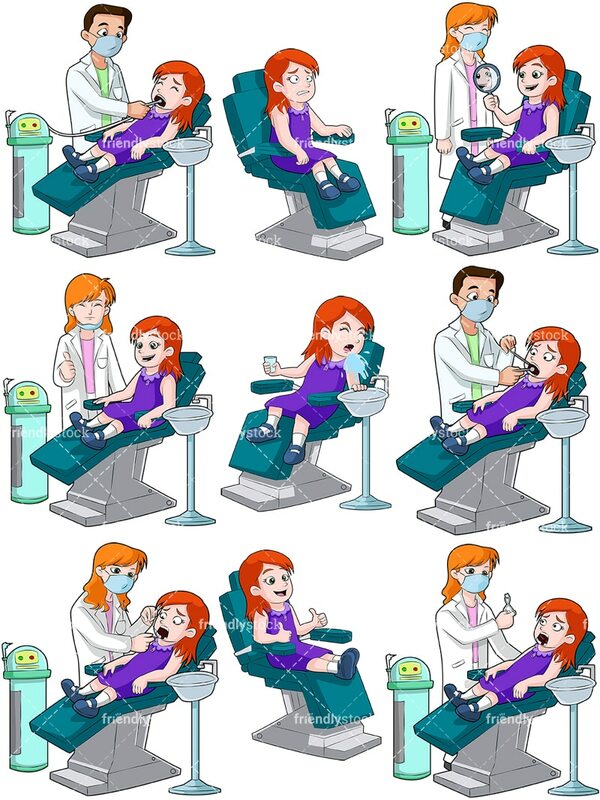 Royalty-free stock illustration of a little girl lying in a dentist chair getting her teeth rinsed out by the dentist. Royalty-free stock illustration of a red-haired dentist showing off the tooth she just pulled from the mouth of the little girl in her chair. 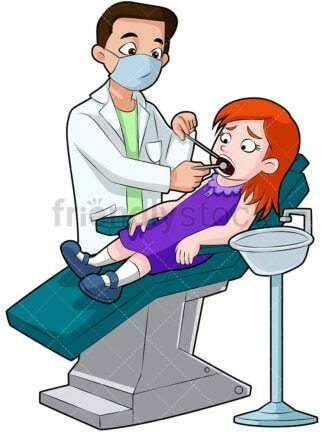 Royalty-free stock illustration of a lady dentist with red hair flossing the teeth of a little girl in her dental chair. 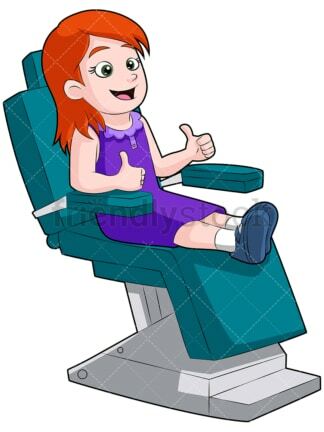 Royalty-free stock illustration of a happy little girl in a dentist chair with dentist nearby giving the thumbs up sign. Looks like she passed! Royalty-free stock illustration of a young girl sitting in a dental chair looking at her clean teeth in the mirror.